Intelligence Protection will be providing the upmost qualified security personnel, while still managing your budgetary needs. Our team will be handling post training, background checks, and other overhead costs, saving you time and money. The assigned manager and field supervisors will oversee the daily duties performed by the security personnel.  By contracting Intelligence Protection, we will strive excellence in all your customized security needs. Intelligence Apartment security officer patrol the apartment buildings and its residents. Apartment security gives residents a sense of safety, and provide the property owner and property managers with assistance on enforcing rules and regulations, while keeping the residents safe. We provide professional consultants that merge solutions to all security challenges and recommend changes to improve existing security protocols. Our management team is highly skilled, agile and accountable professionals. We can adapt to any situations by providing all-source security intelligence. Intelligence Protection has innovative state-of-the-art training programs that not only exceed the State’s requirements to be a security officer, but also gives our personnel the knowledge and abilities of a professional. We lead from the front; our officers are given the skills and resources necessary to overcome any situations in the security industry. Intel Track System provides several technology tools that work efficient together. The Intelligence team can help you figure out exactly what you need, while collecting and organizing comprehensive data in real time, and are accessible by the most convenient methods: mobile or web. Let us know how we may assist your security needs. Our Intelligence team will contact you to gather any additional information to complete your quote. If you prefer, you can call our office at 305.834.9443.